Eurodollar continues growing up towards new maximums. 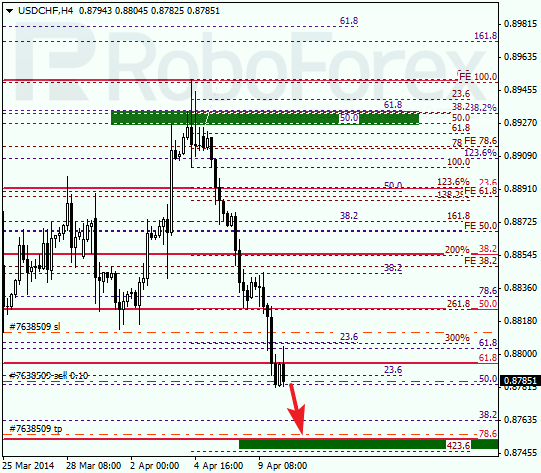 Price broke level of 61.8%, which means that it may continue moving upwards to reach level of 78.6%. I’ve got one buy order, stop is already in the black. As we can see at H1 chart, market rebounded from the group of lower fibo levels inside one of temporary fibo-zone and started growing up. Thursday morning pair rebounded from local level of 38.2%, which means that price may continue moving upwards to reach upper target levels. Bears are starting to push Franc downwards. Price is already moving below level of 61.8%, which is a signal to start selling. I’ll move stop into the black as soon as market starts falling down; target is at level of 78.6%. 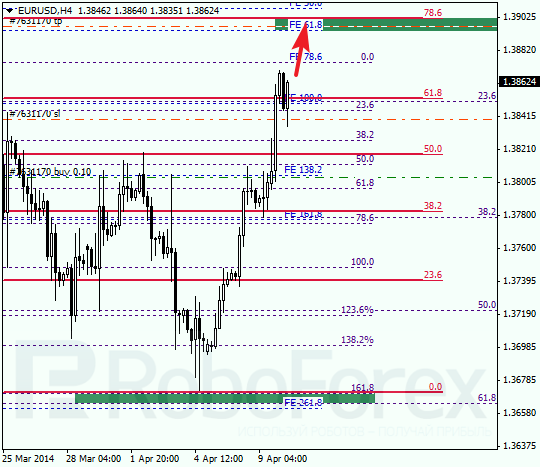 As we can see at H1 chart, Franc rebounded from the group of upper fibo levels and started new bearish trend. If later price rebounds from level of 78.6%, pair may reverse and start new ascending movement.